Southern white men don't usually drive racial dialogue. For as long as race has riven America, they have been depicted more often as the problem than the solution. 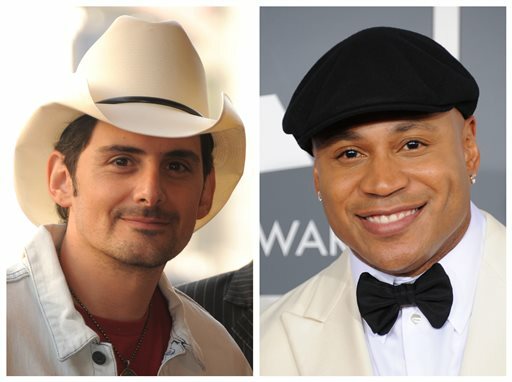 So after country music star Brad Paisley released his new song "Accidental Racist" this week, what happened next was hardly surprising: days of widespread criticism about his attempt to detail the challenges facing a "white man from the Southland" and his recruitment of LL Cool J to rap a black perspective. The song sparked a predictable blaze this week on TV, talk radio and the Internet. USA Today asked if it was an "epic fail." At The Atlantic, Ta-Nehisi Coates titled his analysis, "'Accidental Racist' Is Actually Just Racist." More than a few ridiculed it as "the worst song ever." Some elements of the outcry, however, raise less predictable questions: Where does naiveté turn into ignorance, and then into racism? What is the basis of modern Southern pride? And, possibly most important, should we grade racial attitudes on a curve? Paisley begins the song with an anecdote about a black man taking offense to his Confederate flag T-shirt. "The only thing I meant to say is I'm a Skynyrd fan," Paisley sings, referring to the pioneering Southern rock group. That scene actually happened to Paisley in real life, said Charlie Cook, programming director for West Virginia Radio Corp. and a member of the Country Music Association's board of directors, who heard Paisley discuss the song with a group of industry executives. "He sat down and thought about it from another person's perspective and said, 'If I offended you, it was accidental,'" Cook said. "I think it's really from his heart." That doesn't matter, say many of the critical voices. They say it's the result that counts - a song that, to them, turns some of the most stinging flashpoints of American racial history into aw-shucks anecdotes. They are receiving a message very different from the one Paisley intended: the country-music staple of trying to figure out one's experiences through song. Ignorance is no excuse for Demetria Irwin, who savaged "Accidental Racist" in a piece on the black news and culture website TheGrio.com. "I think he had good intentions. I think he genuinely wanted to explore a topic," Irwin, who is black, said in an interview. However, "I don't believe he doesn't know what the Confederate flag symbolizes and what it means. There's nothing accidental about that." "There's also just a general entitlement that some white people might have, the whole white privilege thing, being totally unaware of black culture in a real sense," she added. The song's black culture was provided by LL Cool J, whose verses were widely panned as shallow. Coates pointed out that while rap is full of artists who are passionate about racial issues, LL is not one of them. "The only real reason to call up LL is that he is black and thus must have something insightful to say about the Confederate Flag," wrote Coates, who is black. "The assumption that there is no real difference among black people is exactly what racism is." Choosing LL, he said, is like "assuming that Paisley must know something about barbecue because he's Southern." Being Southern comes with its own set of assumptions and stereotypes, some of them negative ones created by the low points of the region's history. Southern pride is largely a defensive reaction to such stigmas, said Eric Weisbard, a music critic and American Studies professor at the University of Alabama. So while some might see "Accidental Racist" as a ham-handed attempt to start a dialogue, it's part of a long tradition in which Southern musicians "try to talk about who they are in answer to what others dismissively assume they are," Weisbard wrote on NPR.org. Much of the friction around the song comes from people who don't understand this history, Weisbard said in an interview: "We're as segregated culturally as we often are socially." Many people are proud of being from the "heartland," New York City or other American places, Weisbard said. But "the South has been branded a problem for the country as a whole at least since the Civil War." "In every generation, there's a new way in which white Southerners have marginalized themselves," he said, "and the rest of America has to think about what that means." Paisley gave America something to think about with the chorus of the song: "I'm just a white man comin' to you from the Southland / Tryin' to understand what it's like not to be / I'm proud of where I'm from but not everything we've done / And it ain't like you and me can re-write history." At the end of the chorus he sings, "Caught between Southern pride and Southern blame." That's a gray area for Chris Newman, 25, a white West Virginia University graduate student who grew up in Lexington, Ky. He says Southern pride often is "flirting a fine line between being offensive and supporting historical heritage." Hospitality, driving your truck through the mud, floating down a river or drinking bourbon in Kentucky are great ways to embrace Southern culture, he says. "But I don't run around wearing Confederate T-shirts. I have Lynyrd Skynyrd T-shirts, but they don't have stars and bars on them." That's a deliberate choice: "If I respect somebody, I'm going to make sure I don't offend them," Newman said. Newman doesn't believe "accidental racism" exists. But Luke Laird, a Nashville songwriter who has penned many chart-topping hits, has "absolutely" seen it while growing up in a small, mostly white town in western Pennsylvania. "There were people who said things (that) I know if they actually knew what it meant, they would be horrified," said Laird, who is white. Back in high school, Laird saw a Hank Williams Jr. shirt with a Confederate flag on it and thought, "that looks cool." "To be completely honest, and it's probably just ignorance, but growing up I never really thought a lot about that flag and what it meant," Laird said. "We all want to treat everyone equally, but the reality is we don't always do that," Laird said. "The reality is, it takes more of a conscious effort to try and see where the other people are coming from." AP Writers Vicki Smith in Morgantown, W.Va. and Chris Talbott in Nashville contributed to this report.